Puppy Chow is super yummy. It is peanut butter and chocolate and who doesn’t love that? Melt the chocolate chips, peanut butter, and butter. You can put everything in a large bowl and microwave for 1 minute, stir and than microwave and stir at 30 second intervals until smooth. Or you can melt on low heat on the stove, stirring constantly. Pour over the cereal, that is in a really large bowl, and mix well. Put about a cup of powdered sugar and 1/3 of the cereal in a large container with a tight fitting lid. Shake til coated well. Repeat two more times til all the cereal has been coated with the powdered sugar. 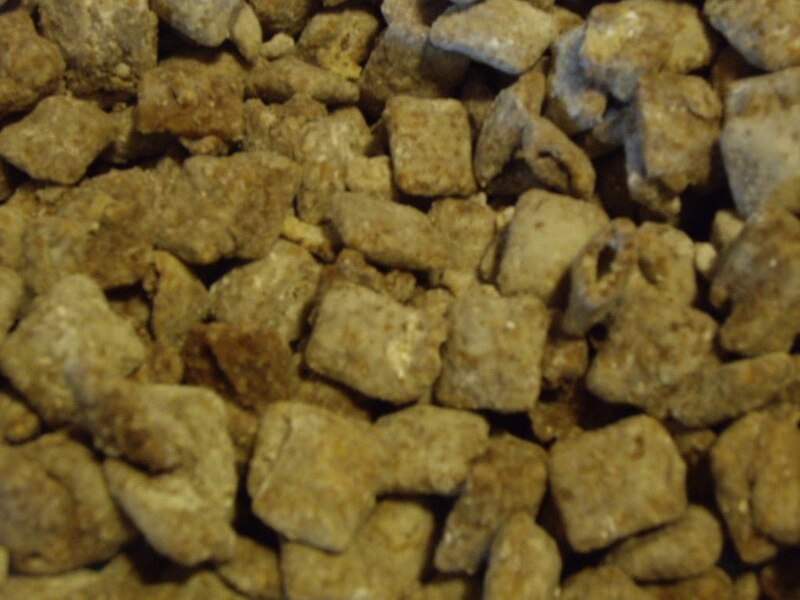 Store your puppy chow in a covered container or big baggie. Now just sit back and watch it all disappear.